Can You (Should You) Insure a Car You Don't Own? Buying auto insurance of any type is an important and responsible part of vehicle ownership. Liability insurance is required in order to operate an automobile in most states, and some states require further levels of insurance such as personal injury protection or uninsured/underinsured motorist protection. In addition to the state-required minimums, other types of auto insurance exist as well such as comprehensive, collision and theft, all of which serve to protect the vehicle owner against losses that may result from accidents or other issues that can happen to their auto. Though the vast majority of auto insurance policies that you will choose to have written in your lifetime will be for cars that you own or perhaps a car that you own jointly with your spouse, occasionally, you may come across a time or a situation where you want to insure a car that is not owned by you directly. One example of a place where you might want to do this is in order to insure the vehicle that your teenage driver has purchased on their own and in their own name. Getting auto insurance on a vehicle is not as easy as you might initially think. There are laws prohibiting placing insurance on any item in which you do not have an insurable interest. The reason for the restriction is simply to avoid the possibility of fraud by those who would insure an item like a car that their neighbor drives, and when the neighbor gets into an accident, not only do they collect on their own insurance, but you try to collect on your insurance for their car as well. When it comes to insuring things that you do not own, especially non-automobiles, the potential for such fraud grows even larger. If you cannot demonstrate an insurable interest in a vehicle that you wish to insure, you will not be able to find an insurance company willing to write you a policy for your protection. If you have a situation, such as trying to help your child insure a vehicle that they purchased and owned, you can demonstrate insurable interest in a variety of ways such as by having the same address as the child whose car you are insuring as well as the same last name. Many insurance companies will allow you to write a policy and pay for it if your name and the name of the actual owner of the vehicle are on the policy. This consent by the vehicle owner is required in most cases. 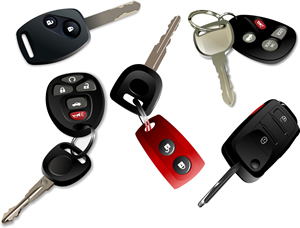 If there are other legitimate situations where you wish to insure a vehicle that you do not own, but you cannot legally prove insurable interest, the best way of handling the situation is to either get the auto owner to include you as one of the named owners of the vehicle or, if that is not feasible, then arrange to pay for the insurance premiums privately between you.